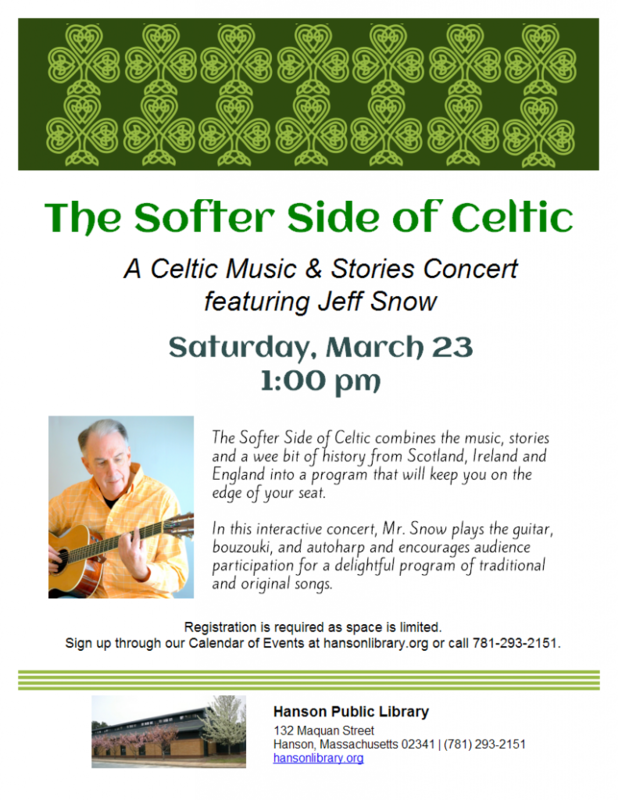 Sign up for the Softer Side of Celtic here! Become more familiar with social media this March and attend one of our tech classes! Getting More out of Facebook – Facebook is being used by virtually every age group today. 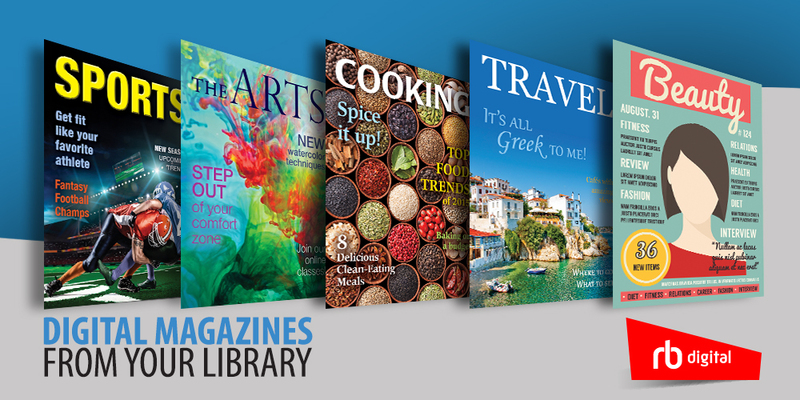 Come to the library and learn the basics about opening and using a Facebook account, or discover how to get more out of your existing account! Space is limited so sign up! Getting More out of Instagram – Instagram is a free and popular photo sharing app. 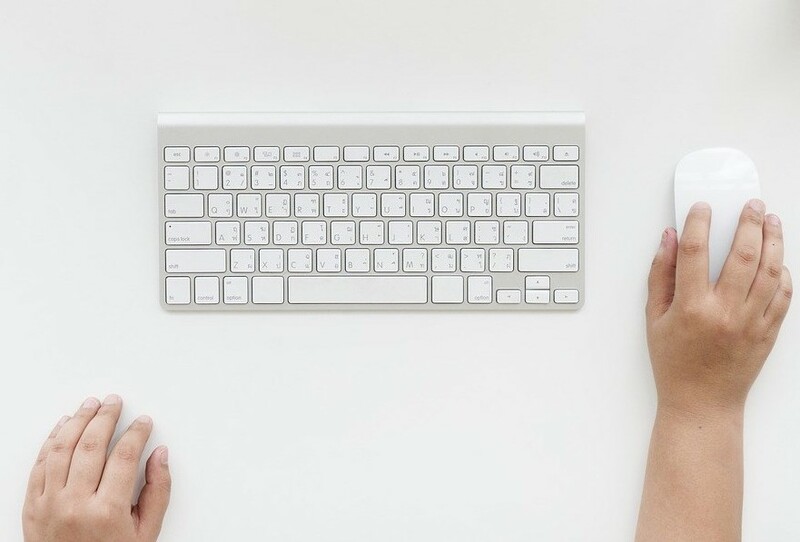 Come to the library and learn the basics about opening and using an Instagram account, or discover how to get more out of your existing account! Space is limited so sign up! 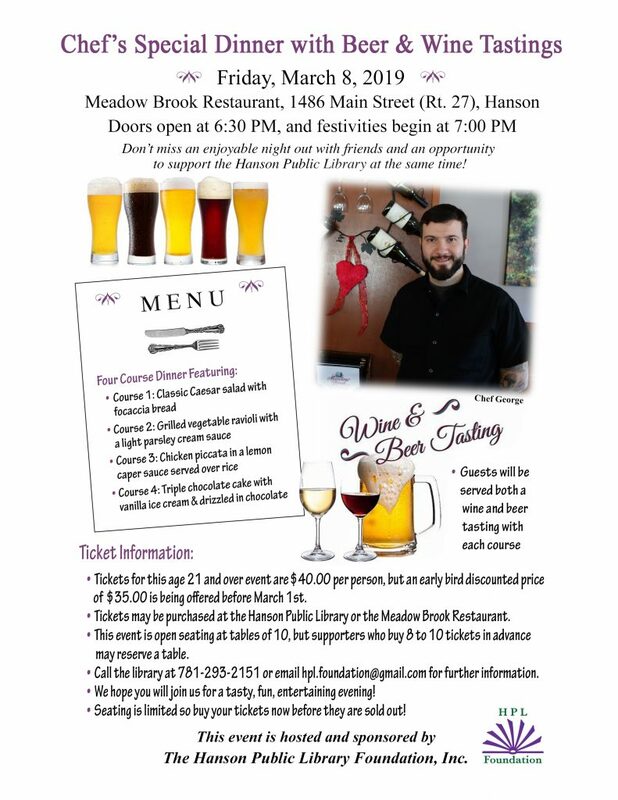 Chef’s Special Dinner with Beer and Wine Tastings! Don’t miss an enjoyable night out with friends and and opportunity to support the Hanson Public Library at the same time! Enjoy a four course meal with a wine and beer tasting with each course!